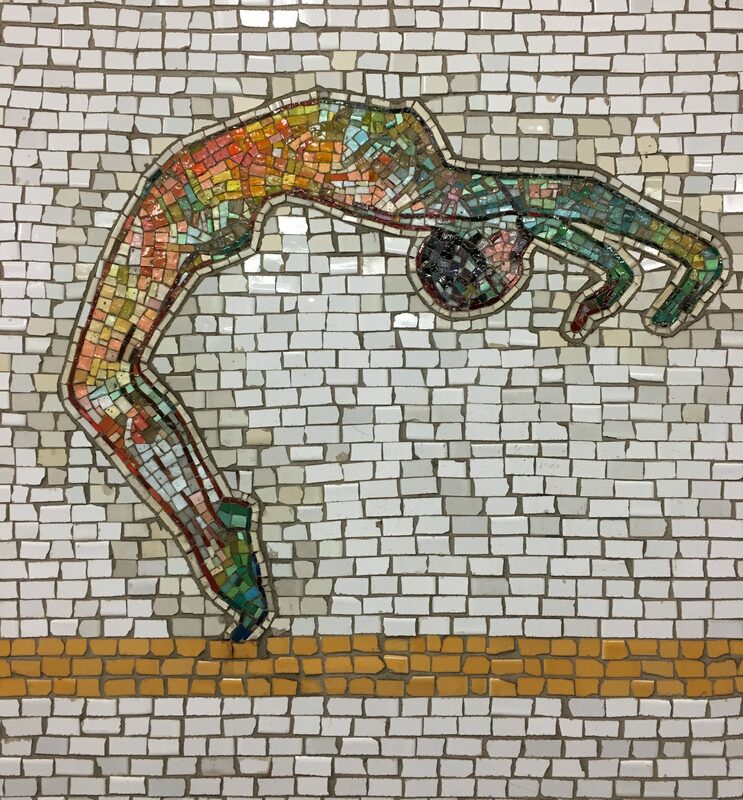 This gorgeous tile mosaic is part of Artemis, Acrobats, Divas and Dancers by Nancy Spero. 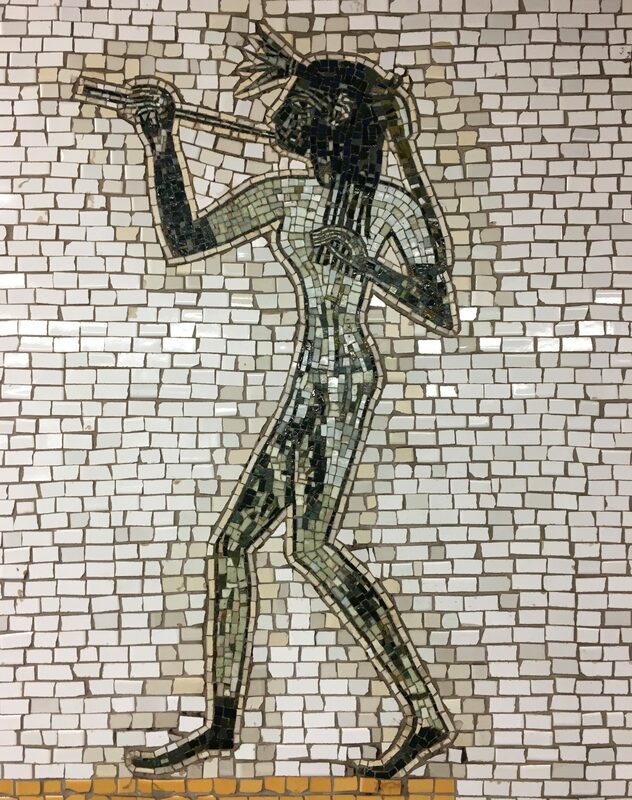 Given that this subway train exits at Lincoln Center, New York’s premier arts destination, the standards for subway art are pretty high. Spero’s work does not disappoint, with 22 brilliantly colored glass mosaic panels that line the walls of the station. 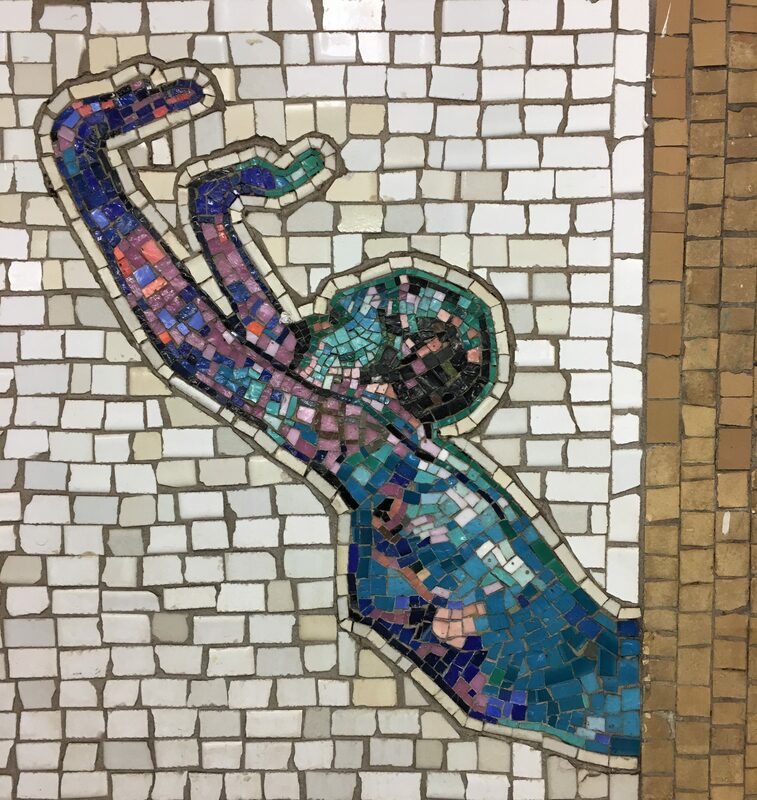 Imagery of women both real and mystical is meant to honor the world-class opera, ballet and music you can catch at Lincoln Center, as well the artsy vibe that has long characterized the Upper West Side. 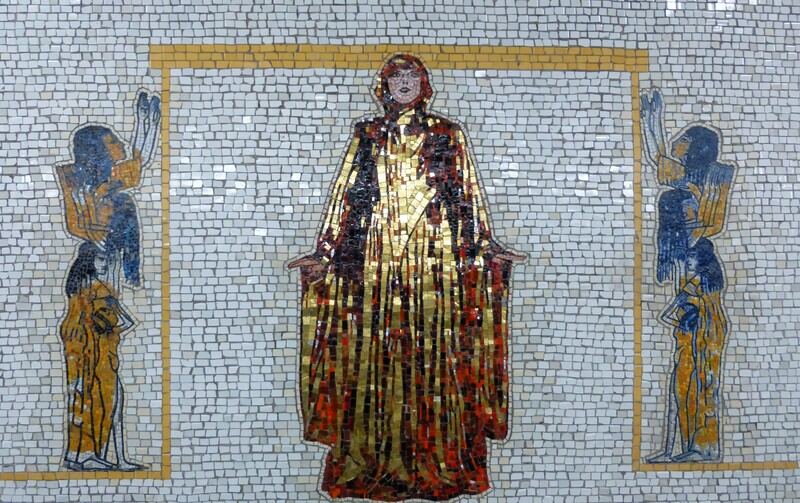 The Diva, the central icon of opera, appears many times along the walls, leading riders through the station. Here are a few other tiny mosaics that you may spot along the platform! Photographed on the 66th Street Lincoln Center Downtown 1 Train Platform.